SAN DIEGO, CA (February 13, 2019) – Ghouliana, the adorably undead star of the adult coloring book phenomenon Beauty of Horror, takes Mischief Night to a whole new level with Alan Robert’s upcoming holiday SPOOK-tacular, The Beauty of Horror: Tricks and Treats, published by IDW! Trick-or-Treaters beware – while you fill your jack ‘o lantern to the brim with delicious delights, keep an eye out for all of Ghouliana’s contaminated candies… lest you take a fatal bite! She has already dismantled Christmas with The Beauty of Horror: Ghosts of Christmascoloring book, so now it’s time to turn her attention to Hallow’s Eve with brand-new FANG-tastic designs! With one-sided, perforated pages measuring 7” x 7”, Tricks and Treats allows you to decorate your haunt with GORE-geously macabre masterpieces for everyone to see! Enjoy a video preview of the Tricks and Treats Halloween Coloring Book here. 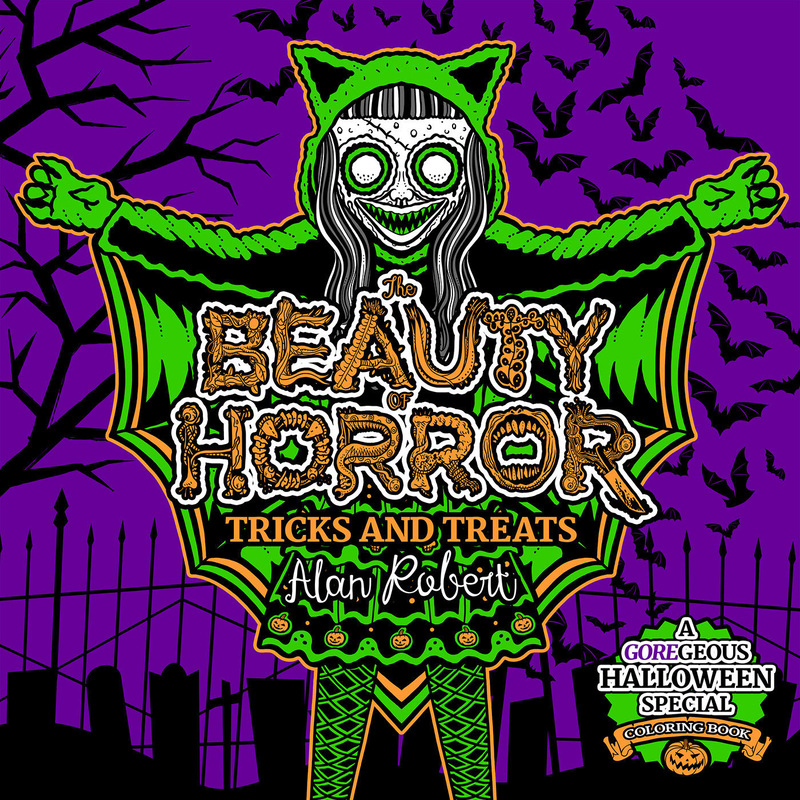 The Beauty of Horror: Tricks and Treats is now available for pre-order via online booksellers and comic book specialty retailers. Visit www.comicshoplocator.com to find a store near you.